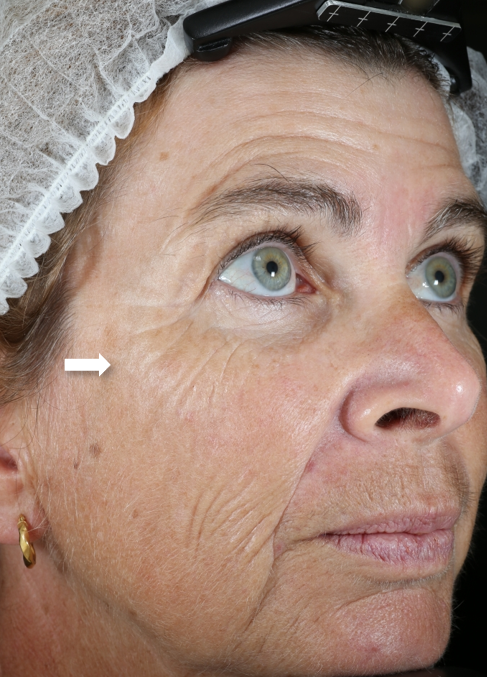 As we age, skin elasticity weakens, giving the appearance of sagging, less firm, less youthful skin. What happens to the skin as it ages? 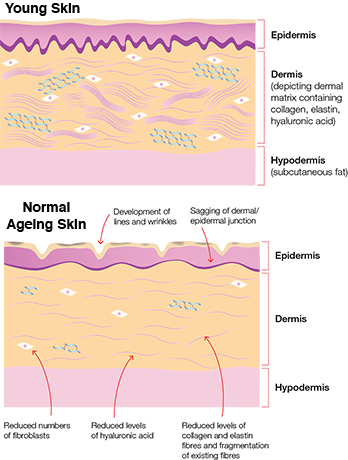 Our skin consists of three layers – the epidermis (the outer layer), the dermis (the complex middle layer) and the hypodermis (which lies beneath the dermis). Inside the dermis is the dermal matrix, which contains collagen, elastin and hyaluronic acid. The dermis is what gives the skin with its structural framework and elasticity. 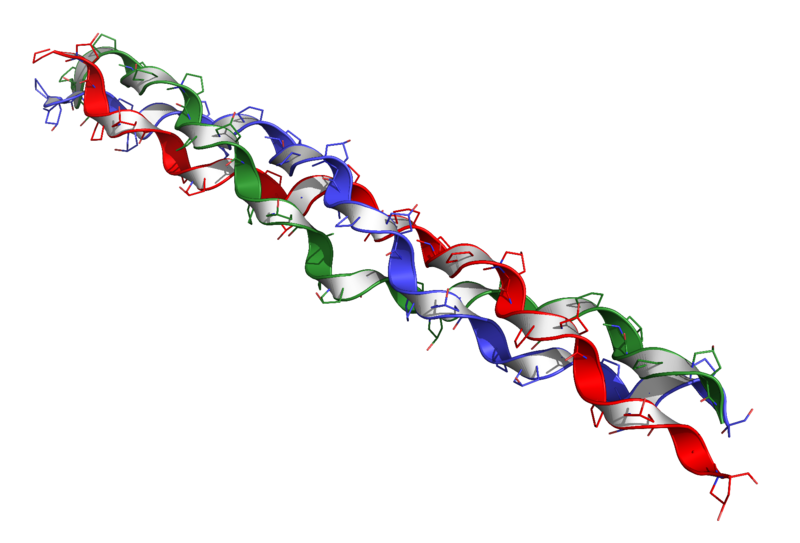 Collagen is what gives our skin strength and structure, and is constructed of strands of procollagen (fibrils) that twist around each other like a rope. 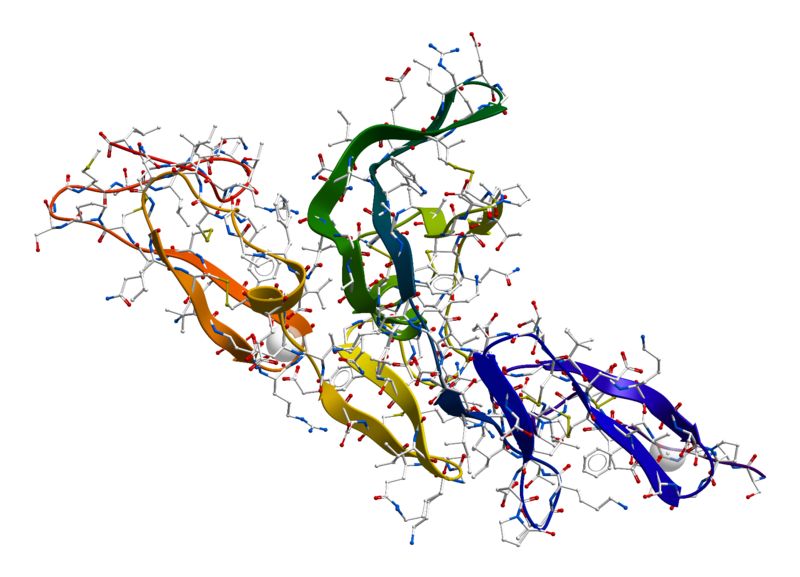 Elastin is the protein in the body’s connective tissue that provides our skin with elasticity. 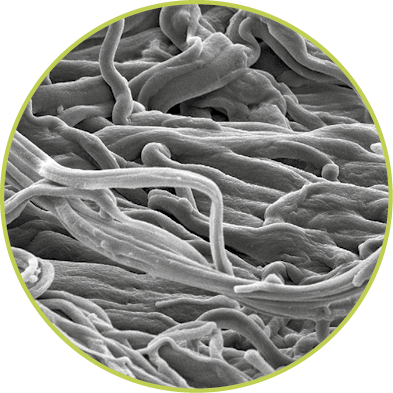 Elastin strands form a web-like structure within the dermal matrix, allowing tissues to resume their shape after stretching or contracting. 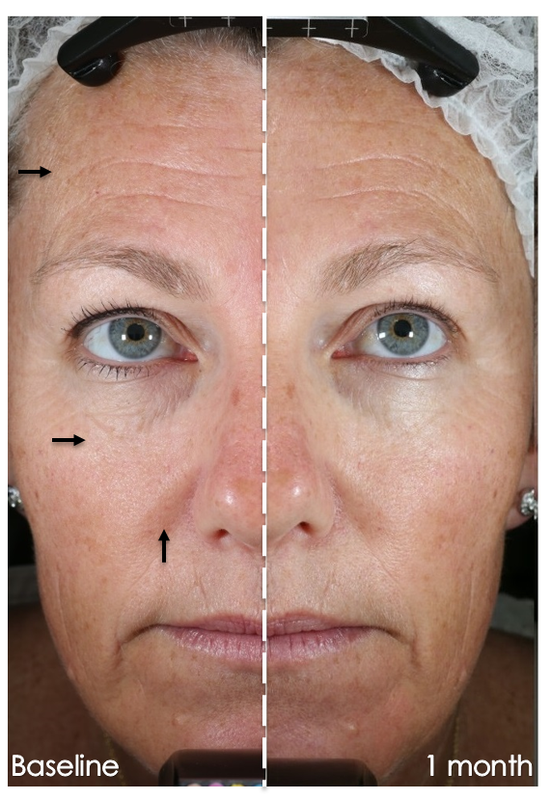 As skin ages, it appears sagging, less firm and less youthful-looking. Skin ageing can be influenced by both, intrinsic factors which occur naturally, such as the passing of time, genetics, metabolic processes and hormones, and extrinsic or environmental aggressors such as UV radiation, smoking, air pollution, diet, stress and sleep deprivation. Over 80% of premature skin ageing is attributed to extrinsic ageing, with photoageing being identified as the main contributing factor. 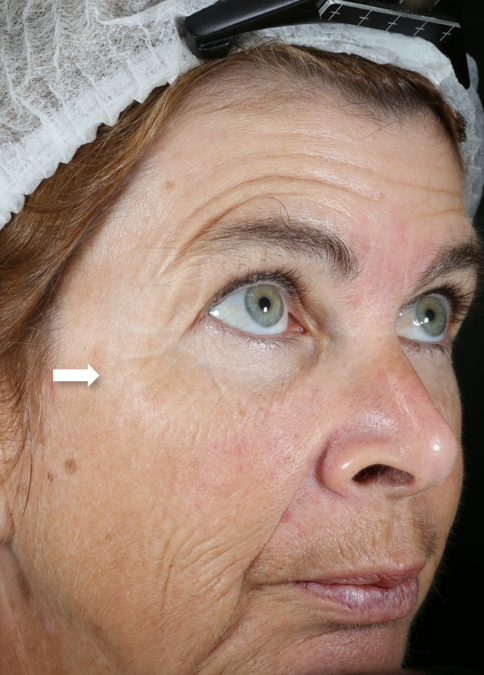 Photoageing is a result of repeated exposure to ultraviolet radiation from the sun, which in turn, damages the structure of collagen and elastin fibres due to oxidative stress, causing them to become thinner and more irregular. Signs of premature ageing can become more evident in certain parts of our body, including our hands, face and neck, where excess exposure to external ageing factors can cause the skin to age faster. Protect your skin from sun exposure every day with a UV Protective Moisturiser. Minimise your exposure to environmental aggressors such as smoke and air pollution. Ensure you are getting an adequate amount of sleep every night. 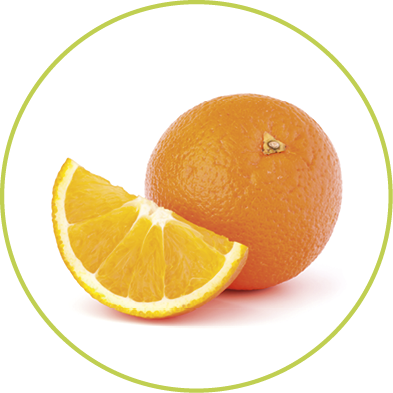 Apply Vitamin C - it has been demonstrated that applying topical vitamin C assists the appearance of firmer, denser, younger-looking skin. Book in for regular professional skin treatments which can help to smooth, plump and retexturise the skin. The Ultra C Range helps the skin look firmer and more resilient. A blend of pure Vitamin C and complementry ingredients work to give the appearance of rejuventated and renewed skin. • Helps to reduce the appearance of premature skin ageing. 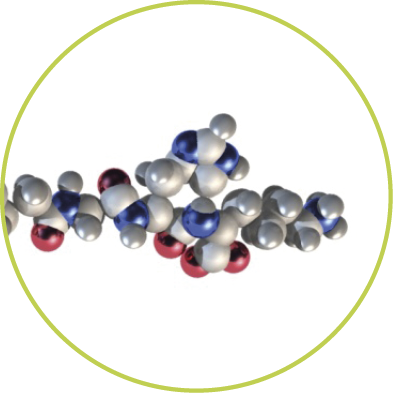 • Fragment of elastin molecule that helps to improve the appearance of skin elasticity. • Helps the skin to look and feel firmer, and more youthful. • Fragment of collagen molecule that helps to support microelastin for firmer-looking skin. • Helps to rejevenate the appearance of skin. 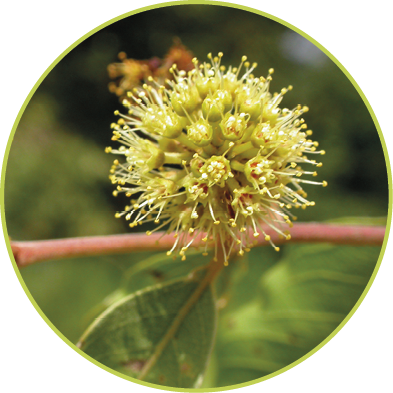 • Works in synergy with Vitamin C.
Fourteen healthy panellists, aged between 40-60 years, with a range of skin types, from combination to dry, were selected. They each applied the product twice a day (morning and evening) to clean and dry skin for three months. All panellists used Ultra UV Protective Daily Moisturiser SPF 30 during the day and didn’t apply any additional treatment products during the trial period. As a result, 93% of panellists experienced notable improvements in the appearance of clarity and firmness of the skin, and a decrease in the appearance of fine lines. Results may vary depending on individual skin conditions. Delay the effects of time and visibly improve skin's resilience and firmness with pure Vitamin C.